Along with Jada Pinkett-Smith, Demi Lovato, and Sofia Carson, more stars joined the mix at the 102.7 KIIS FM Jingle Ball 2017 on Friday (December 1) in Inglewood, California. Sarah Hyland: I like how Sarah artfully—and subtly—referenced the holiday season in her red Rasario Atelier Resort 2018 two-piece look, with the magenta colour-block tie adding a sassy twist on the effortlessly vivacious look. Halsey: Working her unique ode to unconventional style, the entertainer put a whole new twist on the Canadian tuxedo in this Off-White Fall 2017 look that presented a rebellious take on baggy denim and mom jeans. 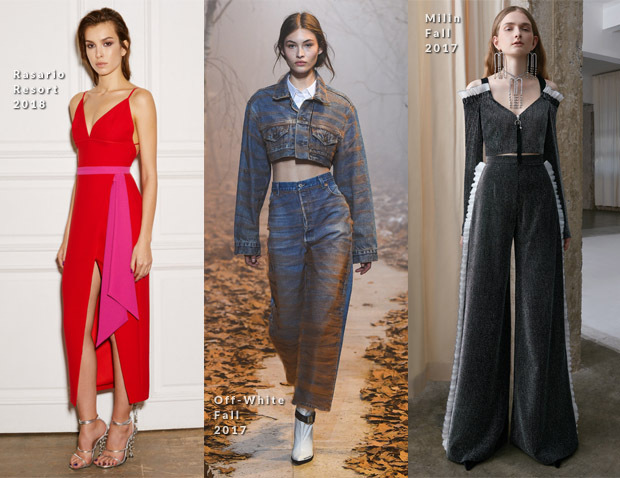 Bella Thorne: From head to toe, I found this two-piece Milin Fall 2017 ensemble not only dated, but also ageing for Bella. The hair and jewelry also didn’t add any measure of youthful freshness.